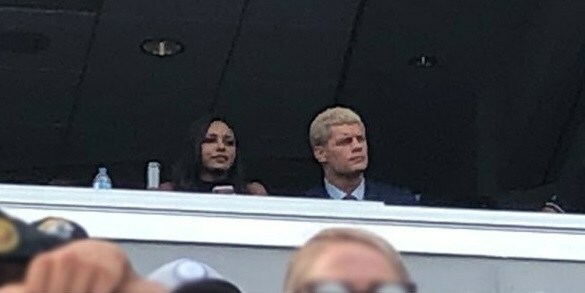 Codi and Brandi Rhodes spent an NFL Sunday inside the Jacksonville Jaguars’ owner’s box yesterday. The NFL franchise is owned by the billionaire Khan family. The Jags also share the same registered address as All Elite Wrestling. Cody didn’t publicize the trip on social media as he does for most things, however. Brandi, on the other hand, felt it necessary to discuss her choice in wardrobe with her followers. Florida is HOT y’all. ? Cody recently traveled to Australia for a tour with World Series Wrestling. Despite having a torn meniscus, Cody worked the tour doing Meet and Greets. He also defended the IWGP United States title on 3 occasions by defeating Joey Ryan in a staring contest. During the tour, he told fans to expect an announcement regarding All Elite Wrestling in January. “At a meet and greet in Melbourne, Australia, Cody was asked about a new promotion and said to wait for January as an announcement will be made, and said the announcement would be bigger than anyone expects,” Dave Meltzer wrote in this week’s Wrestling Observer. 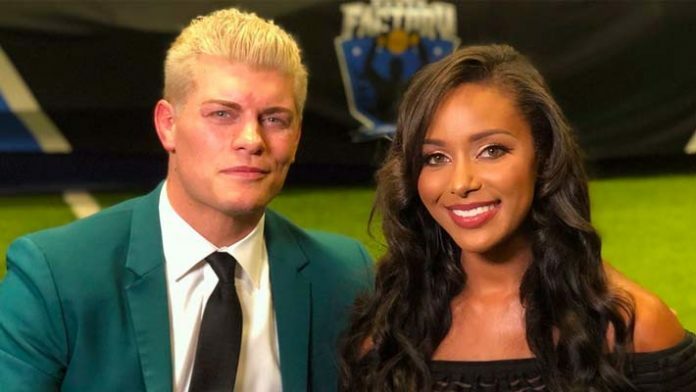 Last Tuesday, Cody put out a Tweet asking “Who are some of the hottest male/female independent acts not signed anywhere?” Fuelling speculation the Elite is looking to bring in unsigned talent to their new promotion.